Figure 21. 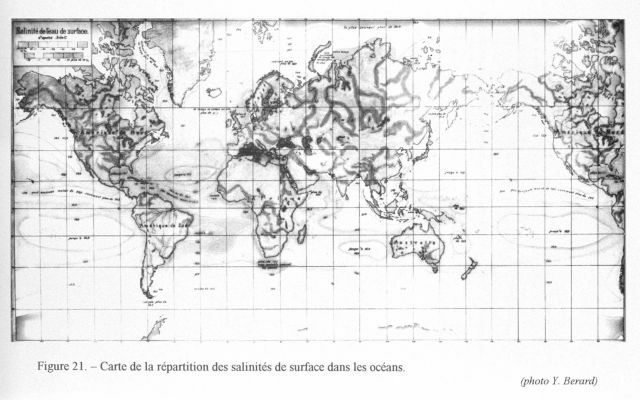 A map of salinity of the surface of the ocean. This map was created by Dr. Walter Stahlberg and mounted and displayed by Max Marx in the windows of the Oceanographic Museum.